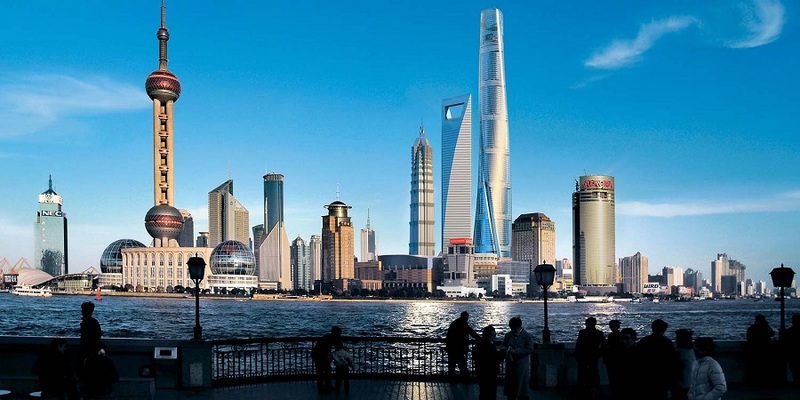 Shanghai officially became the top city for real estate investments in the Asia-Pacific region in the fourth quarter of last year, displacing Japan’s capital city of Tokyo which had long-held the top spot. According to a report by Jones Lang LaSalle (JLL), China’s most high-profiled city is also now firmly ranked in the top five real estate investment cities globally, with New York ranked as number one, followed by London, Los Angeles and Paris. JLL said Shanghai’s strong performance was driven by a number of high profile transactions, including ARA Asset Management’s $2.91 billion (RM12.95 billion) investment in the Century Link complex in October, which was the biggest single-asset property transaction in Asia Pacific in 2016. In the retail sector, the largest transaction recorded in 2016 involved Chongbang Development’s 80 per cent equity stake buyback of Shanghai’s Jinqiao Life Hub for $825 million (RM3.67 billion). Other notable deals include the sale of SCPG Holdings Properties portfolio, purchased by China Vanke from Blackstone Group for $1.9 billion (RM8.46 billion). JLL’s head of research for China, Joe Zhou, said political upheavals such as Brexit and the surprising U.S. election result, an increasing number of investors are looking at opportunities in Asia Pacific and specifically China. “Domestic capital was the main driver of real estate transaction volumes in 2016, with domestic investors often outbidding foreign investors in many transactions. We believe that China – particularly Tier 1 cities – remains attractive to foreign investors as the market matures,” he said. Looking beyond cities, total real estate transaction volumes in Asia Pacific grew by 5 per cent in 2016 and 21 per cent year-on-year in Q4, with certain countries in the region driving investment activity. Transaction volumes for Q4 2016 in China totalled $15.5 billion (RM68.98 billion), while it was $7.4 billion (RM32.93 billion) in South Korea and $7.2 billion (RM32.04 billion) in Japan. 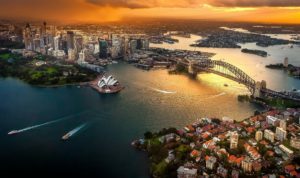 Continued appetite for real estate is expected to see investment volumes hold up, with core markets such as Sydney (pic), Tokyo and Singapore attracting interest. JLL said the regional outlook remains positive in 2017, with buoyant investor and occupier activity. The company’s head of research for Asia-Pacific, Dr Megan Walters, said that political uncertainties are expected to continue, but real estate assets continue to attract capital, preserve value and serve as a crucial part of a diversified global investment portfolio. “Continued appetite for real estate is expected to see investment volumes hold up, with core markets such as Sydney, Tokyo and Singapore attracting interest. We expect stronger activity in Indian real estate, with investors likely to be interested in Southeast Asian countries such as Vietnam and the Philippines that are showing better prospects on rental growth,” she said. JLL pointed out that office leasing activity surged by 23 per cent year-on-year in Asia Pacific in Q4 2016. This is largely due to strong growth in India, where volumes were up 82 per cent. Broad-based demand drove substantial increases in Delhi, while leasing activity from tech firms supported moderate growth in Bangalore. Financial services and technology firms remain key occupiers in the office sector across the region. Sydney and Melbourne saw the biggest rise in office rentals at 22.5 per cent and 13 per cent year-on-year respectively. In Sydney, there is now competition for office space to a reduction in supply caused by the demolition of buildings to make way for the construction the Sydney Metro.